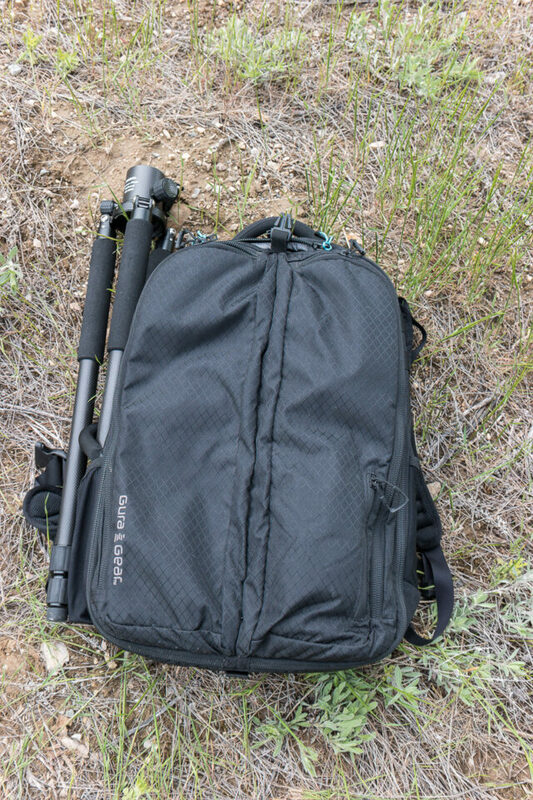 I set out with a goal to find the best outdoor camera bag. For the most part all of these bags turned out to be pretty great bags with different strengths. 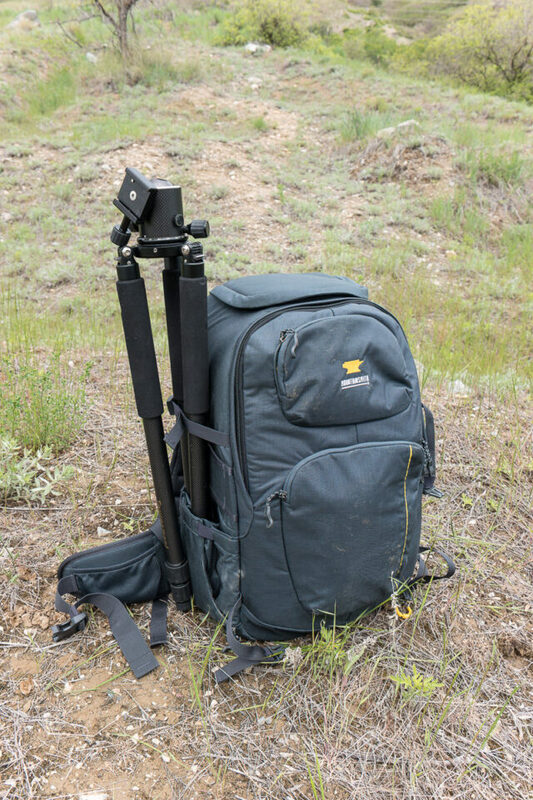 To try out the bag it needed to hold at least one pro body, a wide angle zoom, normal zoom, telephoto zoom, flash, tripod and accessories. My kit was a Nikon D800, 17-35mm f/2.8, 24-70mm f/2.8, and 70-200mm f/2.8. 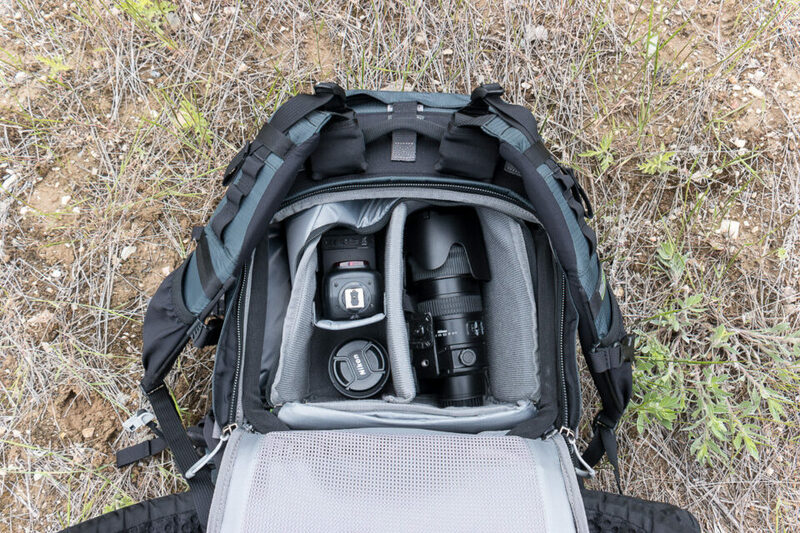 Let’s take a look at a number of different outdoor camera bags and see which one is the most versatile option for shooting outdoors. Get the rotation180° Professional Deluxe if you need access to your camera and a lens or two without taking off the pack. 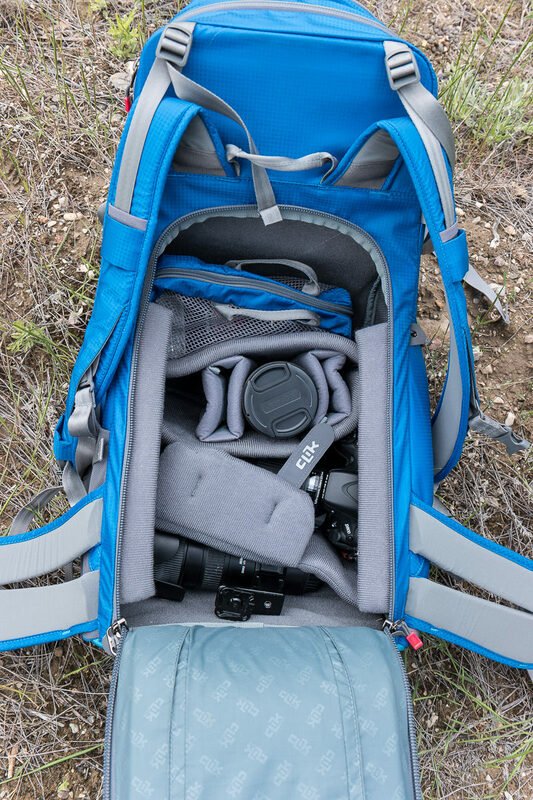 Get the Gura Gear Bataflae 32L if you are a travelling photographer who needs a bag that holds a lot of camera gear and if you love having lots of pockets. This is my favorite bag for airports and plane travel. 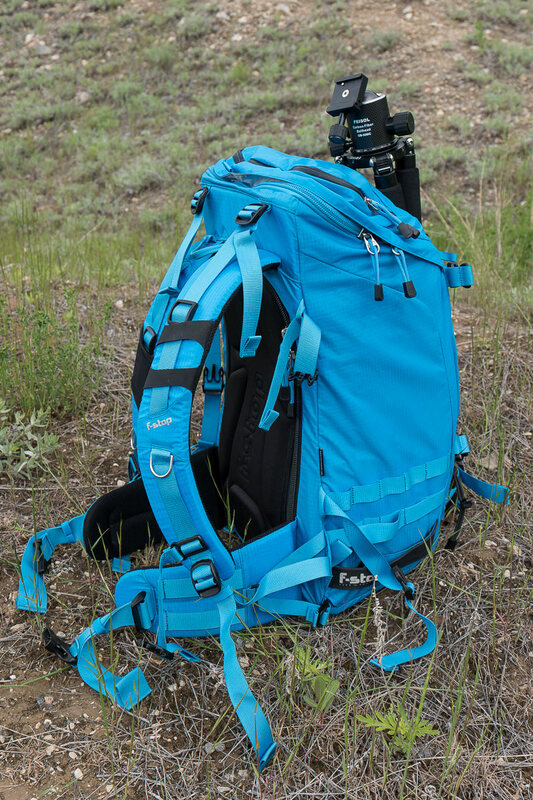 Get the F-stop Tilopa BC if you want a well built, comfortable bag for hiking that can handle a lot of gear. I used the small pro and medium slope ICU’s This is my favorite bag from the test. 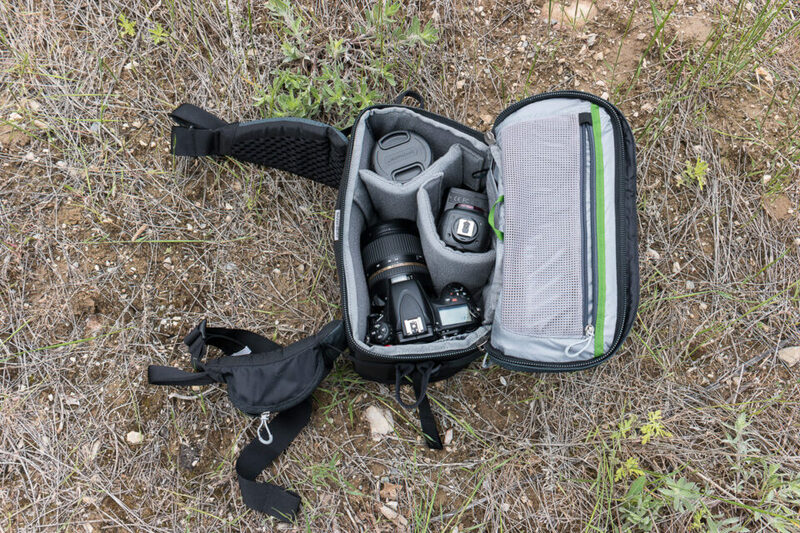 Get the Clik Elite Contrejour 40 if you need a bag with dedicated room for non-photography gear. Get the Mountainsmith Parallax if you need a bag that is great for travelling and is an excellent value. So what bag do I reach for most? Definitely the F-Stop Tilopa BC for two main reasons. It is the most comfortable and it has the camera compartment I like the most. 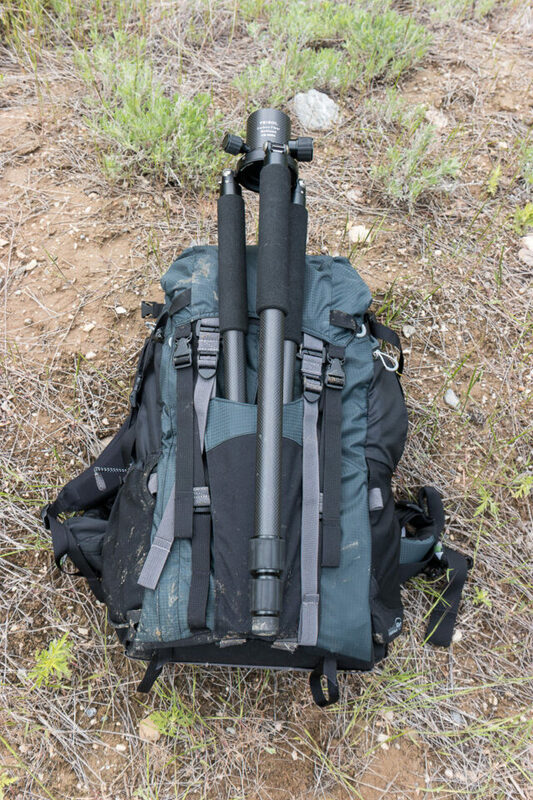 It also doesn’t hurt that I can attach two tripods and a slider to the outside. It is really an amazing bag. If you don’t want to spend the money for the F-Stop Tilopa BC, I think the Mountainsmith Parallax is the best value, coming in at under $200. 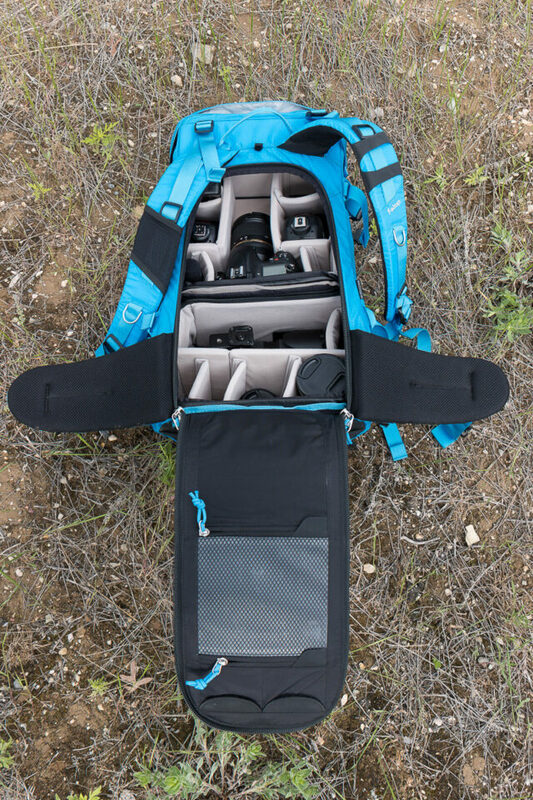 The camera compartment was pretty good and I really liked the removable chest carrier. I just didn’t think it fit quite as well as some of the other bags (I’m 6’1” so that might have something to do with it). All of these bags have their place and have some amazing features so I don’t know that you can really go wrong with them. I will say that the Clik Elite bag was my least favorite due to the camera compartment dividers not being stiff enough. Chris Mabey is an outdoor photographer and filmmaker based in Utah. His love of the outdoors and passion for photography have led him to spend many days hiking through the dim morning hours with a backpack full of photography gear to get the perfect shot. He specializes in telling the stories of outdoor places and brands through still images, video, time lapses and aerial shots. You can visit his website at chrismabey.com. 5 lbs. still seems like a lot of weight to add to all the equipment one needs to carry. I only weight 102 lbs! I do love F-Stop products, but they have terrible supply management. I haven’t tried the other bags. Is it true that if you buy mirrorless system you don’t need camera bag at all, you can carry the body and lenses in your jacket pockets. 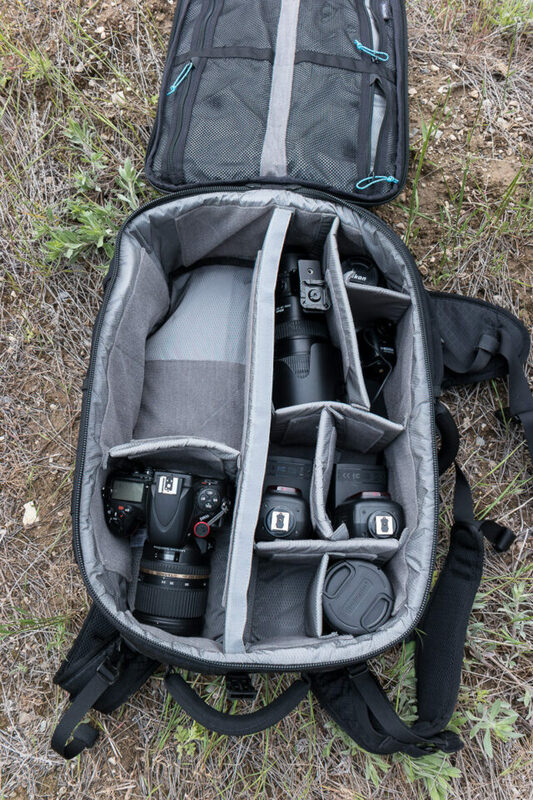 The “best” camera bag is the one that works for you! I use a National Geographic EXPLORER. Works perfectly for me! Thanks for the feedback Herb. It’s a tough balance on making the article short enough that more people will read it and long enough to give the details. I did use each bag for a few weeks in a variety of different situations to get the best idea of how it will perform. Love my Tilopa from F Stop, has plenty of room for photographic and non- photographic equipment. Eyeing off the new bags from F Stop. Good review. Nice try, Chris! I have been researching this myself for a while now and it was interesting you did not try any of Lowepro outdoor backpacks (Rover Pro series). I’ve checked out the Rover Pro in stores and I didn’t really like the camera compartment on it. I think their new Whistler bags look really nice for my needs though. Thanks for the review. I do have a couple of questions. 1. Did you have any experience with the larger bags Satori EXP or Sukha. 2. I could not see any clothing/weather gear in the bag. Did you carry any. 3. Which bags do you prefer for home storage and if different airport travel. I haven’t tried the larger bags, but I do want to for overnight trips. With the Tilopa fully loaded I can still put a jacket or other items in the outside pockets or if I don’t need as much photo gear I take out one of the ICU’s and can take a lot of non-photo gear. For the airport I like the Gura Gear, it’s boxy shape makes it a good fit for overhead bins. 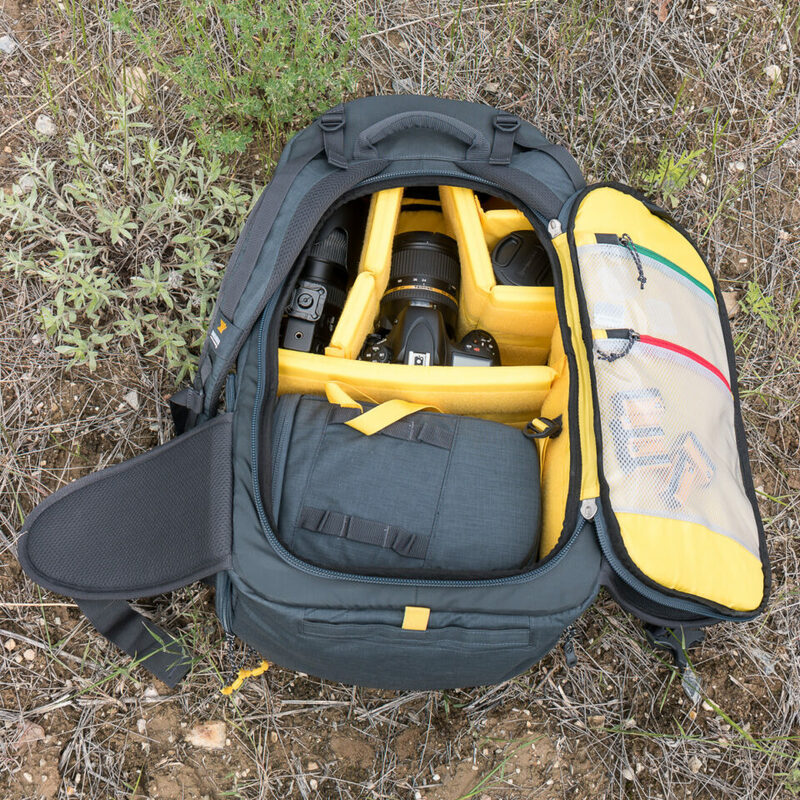 For home storage it’s a toss up between the Gura Gear and the ICU’s of the Fstop bag. They are really nice for storage, I’ll probably pick up a few more for home storage as I get more lighting and video equipment. I have ordered f-stop Ajna bag few weeks ago but it wasn’t shipped yet. It seems they have delivery delays. Can’t wait to test it. The best one for me is definetely the Lowepro Flipside 500 especially with regard to price/performance ratio! Mostly I can take it as my hand luggage without any problems /trouble with airlines…. Thanks for the review. It would be good to add a description of the type of photography that you do and places you go to give a better idea of your needs and reasons for selecting a particular bag. For my part I do mostly nature and travel photography. I do a lot of hiking and backcountry skiing and hut trips in europe. I have the contejouer and find it perfect for these uses with a 3 pro zoom set plus a prime or two. But i rarely carry all that and most essential of all is the ability to carry outdoor gear for the environment such as jackets, avy gear, etc. Also the side camera access is critical to give me faster access and the abilityto put the camera awway go scramble or ski. The contejouer will even fit the sigma 150-600 on a d600 in the side access. For day trips i find the lowepro photosport 200 is ideal. It fits the 14-24 and new 24-70 vr nicely. I do find the loose fit of the contenouer annoying. Ive Added some dividers from s lowepro bag on top to hold it togegher. And all of this just adds weight to my decision in getting rid of my DSLR and go over to a Fuji X system. 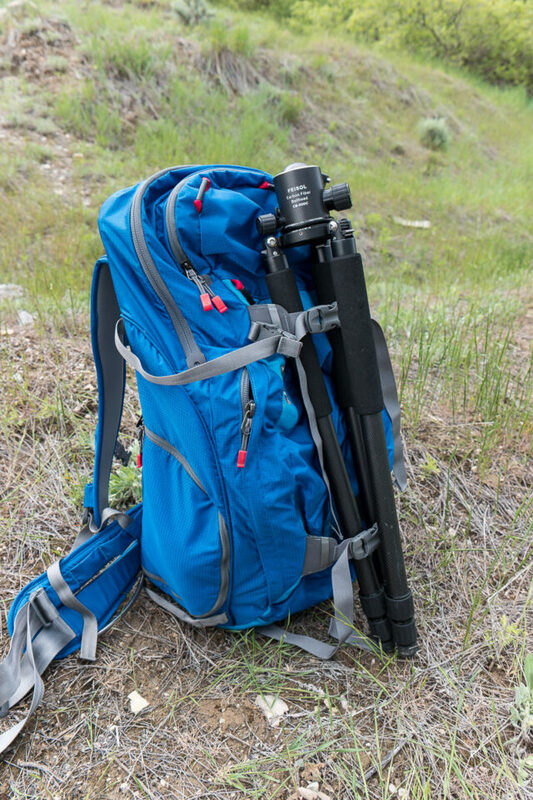 Did you consider a Lowepro Pro Trekker 450 AW? Can anyone that owns one, comment please? 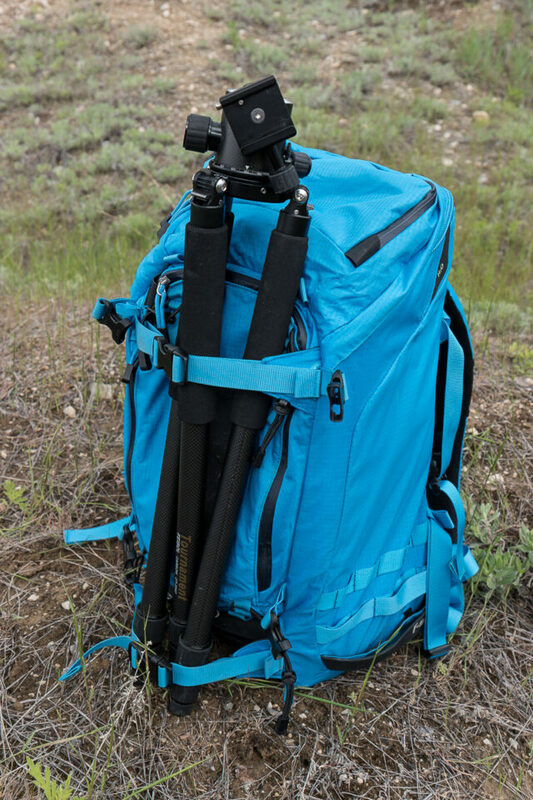 This camera bags/equipment only are useful if you are arriving on a location by car and not expending more than a couple of hours trekking/hiking. If you need to climb 700m you’ll need space for water, food….and even a tent (yes, sometimes you need to sleep somewhere)….so in those cases the options shown here are useless. Think twice before taking your heavyweight 24-70 f/2.8 & 70-200 f/2.8. Please visit thom hogan site for futher information. Lowepro Protactic 450 is my favourite. I ordered a bag 2 months ago and cancelled a few days later. they will bill your card the second you order, even though it may not ship for months. Even worse, its been 6 weeks since I cancelled and I still have not received a refund. That’s theft of service! Update: ClickElite just updated their Contrajouer pack to version 2.0. They must be listening because they updated the dividers to a stiffer set. I ordered these from them and they are much better. Great customer service as well! Would be great to have seen where you rank the Bestek gear. It seems like it’s popular among other users for hiking backpacks – james-grundy.com/best-…or-hiking/ They have killer good looks and surprisingly are waterproof as well. Alas it would become an expensive endeavor testing all the camera backpacks on the market!